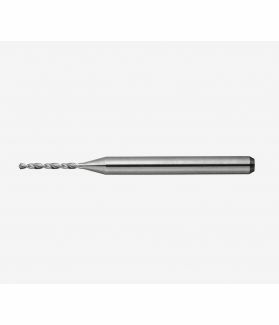 Micro precision drilling from micro long holes (smallest diameter offering: φ0.035mm=0.00137795275”). The tolerance of run-out is ONLY within 2μm. The lip height difference is ONLY within 2μm. Suitable for a wide range of materials including steels, non-ferrous and resin.